The Medical Director, Fatimah Clinic Kaduna, Dr Maryam Abubakar has advised Nigerians to imbibe the habit of frequent hand washing to avoid viral and bacterial infection of the eye. Abubakar gave the advice in an interview with journalists on Tuesday in Kaduna. She noted that the number of patients with acute hemorrhagic conjunctivitis, also known as Apollo, is on the increase hence the need for people to imbibe safety habits to avoid contact. 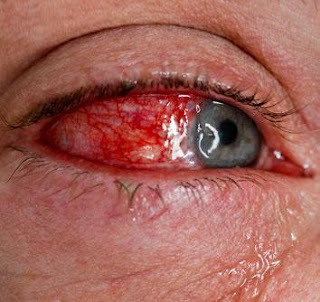 According to her, children with eye infection need to take days off from school and for members of the public to seek medical help whenever their eyes become swollen, pink and itchy. Abubakar also cautioned against sharing towels or personal hygiene kits with others, and for those infected to avoid rubbing the affected eyes. She advised those affected to rest for two weeks, so as to minimize crowd exposure and spreading the infection. Also, Hajiya Ramatu Tijjani of the Foundation for Protection of Women and Children in Nigeria, said health education at home, school and community level was vital in curtailing spread of avoidable diseases.